The purpose of the AGER is to eliminate individual DAB reviews for the various GPS satellite, ground station, and user equipment programs, thus streamlining the acquisition decision process. 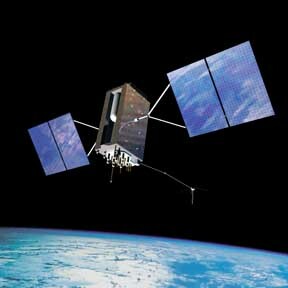 This year, the AGER focused on major acquisition milestones for each of the GPS Enterprise’s three segments: the GPS Block IIIA space vehicle program, the Next-Generation Operational Control Segment (OCX) program, and the Modernized GPS User Equipment (MGUE) program. GPS IIIA received Milestone C approval for entry into the production and deployment (P&D) phase as well as authorization to initiate long-lead parts procurement for the first two production satellites. A total of eight GPS IIIA satellites will be built, with first delivery scheduled for mid-2014. OCX is on target for a successful Milestone B — entry into the engineering and manufacturing development phase of the program — following a preliminary design review scheduled for late spring 2011. Additionally, the program received approval for a plan to develop and build and deliver a Launch & Checkout System to fly the first GPS IIIA satellite before the full OCX capability is fielded. MGUE is primed for a Milestone A decision — entry into the technology development phase — following a detailed Office of the Secretary of Defense review of the program’s technology development strategy (TDS) in the next 45 days. The TDS and wide resurgence to support warfighter needs and requirements was applauded by offices throughout the coordination cycle, according to the GPS Directorate press release. "We have made great progress while keeping the right focus on mission success," said Gruber. "I am extremely pleased with the outcome of the AGER, the support of the senior decision makers, and most of all my team of dedicated professionals. The modernized capabilities coming on board will support the warfighter and the world for years to come."